There is a sort of expected progression in life. As soon as you get a serious boyfriend, people start asking when you’re going to get engaged. When you get engaged, everyone wants to know the date. Then you’re hitched and everyone asks when you’re having kids. Then you’re pregnant, and it seems to give everyone the right to ask even more questions. These are the norms, assumed, expected occurrences in most people’s lives. First let me address the whole “when are you getting engaged” question. Now, I’m going to go out on a crazy limb and dare say that most (if not all) women wonder the same exact thing when they’re of age and have a serious boyfriend. I know I did. I also knew I never answered that question without feeling flustered because well, all the men I’ve ever dated had serious commitment issues. Once I finally got the ring, people started asking when the date was. Did rings come with manuals that I wasn’t aware of? True, we’ve always imagined the “perfect wedding” with the beautiful venue, princess like Cinderella dress, etc.., but in that daydream, there wasn’t ever a date set. We had kids right away so we avoided the “when are you having kids?” question, but then we (by we, I mean “I”) started to look noticeably pregnant – these are the questions I really DON’T want you to ask unless of course you’re my close family member or best friend (which you’ll probably have the answer to these questions anyways without having to ask). What’s important is most pregnant women want to be acknowledged that they are pregnant but being pregnant isn’t the only thing happening in their lives. Pregnancy is a long 10 month process, and in those 10 months, most women are doing about 25 other things other than just carrying the baby. Most women have beauty regimes, with varying degrees of complexity, that they follow. Over time though, some steps in these regimes may be removed or replaced; other steps may go away completely. In the ongoing evolution of our day-to-day routines, there are certain bad habits we should avoid developing and a few good ones worthy of making mainstays. Not only does always having a clean brush help to distribute product more evenly and ensure a more flawless finish, it also helps to keep skin healthy and free of bacteria. If you start to notice that you’re breaking out (especially in the cheek area), it may be time to clean your brushes. Sometimes it can be tempting to hit the hay before removing the day’s makeup, but this is one beauty mistake you should never fall victim to. When you sleep with makeup on, it rubs onto your pillow and the pillow presses it deeper into your skin, which can cause a breakout. So what if there are remnants of kohl around your lids, at least most of your makeup has been removed, right? Wrong. Eye makeup can be one of the main culprits of styes, which can take months to get rid of. There’s no question that using exfoliants, such as scrubs that contain sugar or ground nut shells to slough off dead surface layers, can indeed reveal softer, healthier-looking skin. But too much scrubbing can leave your face red and even create little whiteheads deep under the skin that won’t go away. Make no mistake: there’s no other beauty habit quite as essential to good health than the wearing of sunscreen. Without application of a sunscreen with a good SPF, skin may be vulnerable to sunspots, wrinkles, and even more serious, skin cancer. The pages of fashion magazines are filled with models rocking this beauty trend, but if you’re thinking of trying it, you should be sure to keep the tip of the pencil rounded, soft, and very clean. Having a tip that’s sharp or full of pencil fragments can tear the delicate rim of the eyes or expose you to harmful bacteria, causing a potential eye infection. The Old Navy Stuff & Save event ends tonight, so if you or your little ones still need summer threads, this would be a good place stop by to get an additional 40% off your purchase. Boppy Newborn Lounger Just $22.55! This is an even better deal than the one I posted a few weeks ago! The Boppy Newborn Lounger – Sunday Stroll is now just $22.55 which is a huge drop and a new low price for Amazon. This is an extremely popular and highly rated item with 4.8/5 stars and 152 reviews. It’s always nice when such a great product is so affordable. 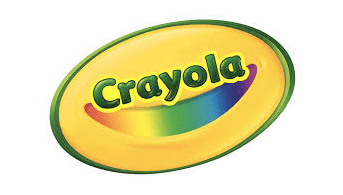 Just in time for Back To School shopping…. check out this great Crocs Coupon Code! Right now at Crocs you will save $20 off a $100 purchase when you enter the code SUMMER20 at checkout! Offer valid through 7/31/2013! To start shopping, just go to Crocs… and make SURE to go through ShopAtHome.com or through Ebates which will earn you 5% Cash Back! Once you are logged into Ebates, use their search bar to find Crocs … click through to start shopping! Scroll down to access your coupons. These will come in handy because we should see some sales on these product over the next month or so. Click over to Bergdorf Goodman where you can currently save up to 75% off. As a matter of fact the prices at our violet home away from home are more discounted than Neiman Marcus. That’s a rarity! 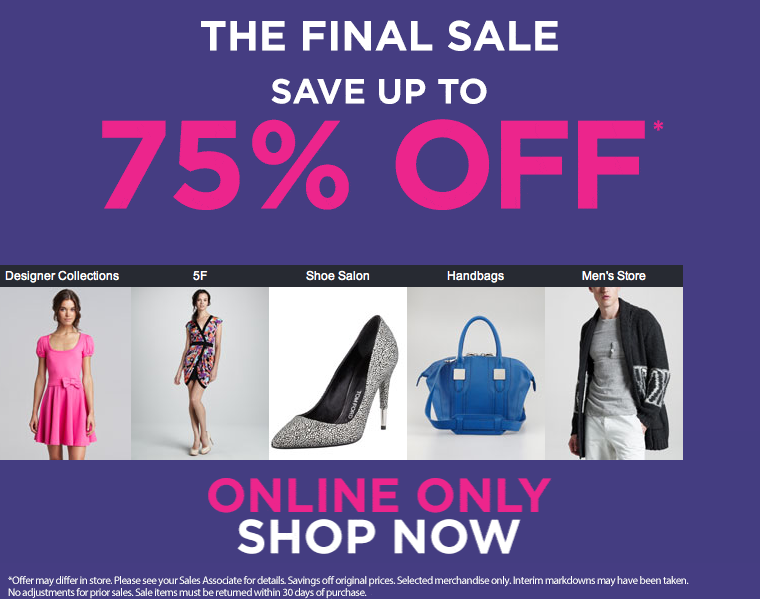 Neiman’s discount is still on the second markdown or up to 65% off. 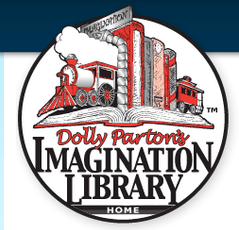 Head over to Dolly Parton’s Imagination Library and see if your address qualifies for free books for kids! This program mails high quality, age-appropriate books to kids once a month from ages 0-5. What a great way to encourage literacy and a love for reading! If you’re in the US, go straight here to register your child. This program is also available in Canada, Australia, and the United Kingdom! If your address doesn’t qualify, keep checking as they recently expanded to 38 more areas and will likely continue to grow. Woo Hoo! Are you in need of a new pair of shoes for you or a family member?! Then head on over to Kmart.com where they are offering up a Buy 1 Get 1 FREE Sale on participating althletic shoes through July 13th! This BOGO discount will be applied automatically at checkout – just add 2 qualifying pairs of shoes to your cart. Prices start at only $9.98, so as low as only $4.99 per pair after the sale! Wow! Plus, score FREE in-store pickup (if available at a Kmart near you) or score FREE shipping (no minimum!) with your Shop Your Way Max membership (you can score a FREE 90-trial by clicking on the link during checkout or here). * Go through ShopAtHome.com for 5% cash back or go through Ebates.com for 6% cash back! Yay! Hurry on over to the Shutterfly Facebook page and click on the Sign up for a FREE Wedding Guest Book tab to snag a unique promo code valid for a FREE 8×11 Hardcover Photo Book from Shutterfly (you’ll just need to pay shipping of $8.99)! These photo books typically sell for $39.99, so this is an awesome buy! Note that the offer advertises a free Wedding Themed-Book but you should be able to use the code to create other themed books as well. Fine Print: Offer expires August 11, 2013 (11:59 P.M. PT). Offer is good for one free 20-page 8×11 hard photo cover photo book at shutterfly.com. Offer valid for one-time redemption per billing address. Taxes, shipping and handling will apply. Any additional pages will incur a per-page fee. StorytellingTM styles and elements, hard photo cover with matte finish and memorabilia pocket will incur additional fees. Offer not valid on other sizes, layflat pages, soft cover, padded, cloth, crocodile, leather, genuine leather or faux lizard photo books.